We will source any material you require firstly from the closest source. If this is not available we would source it from other provinces in South Africa. We are also able to source product internationally, if required. You simply fill in the information form giving us an idea of your requirements and we go out there and find it, at no direct cost to you. Once we find the material we send a sample (1 kg) to you with all the specs of the material (this goes for both the raw materials or value added product). Once you are happy with the material we negotiate a price on your behalf with the supplier. We sign a Non-circumvent and Disclosure Agreement with a Memorandum of Understanding to protect all parties and to secure supply. You send your monthly requirement to Ecosystems and we do the rest on your behalf. 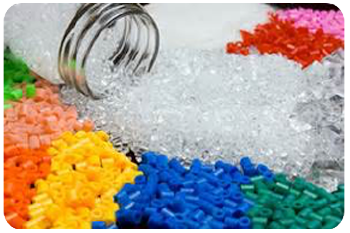 Our network consists of over 215 Plastic Recyclers and 60 plastic manufacturers in South Africa. Our service comes at no direct cost to you. 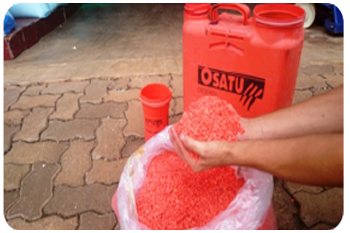 All materials that are purchased/sold, we add on a 50c/kg commission. All samples and delivery costs are invoiced to avoid recycler being short changed which creates an unhappy supplier. Orders are made via Ecosystems and paid COD (prior to delivery or collection). This avoids any animosity on either end of the supply chain and keeps all parties happy. We keep everything transparent and ethical, no surprises. Conduct waste surveys in order to reduce waste generated and make disposal cost savings. 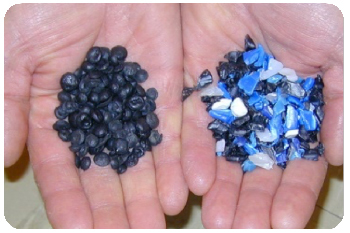 What Plastics do we deal with? Expanded or foamed polystyrene (PS-E).